NATIONAL AWARD winning Producer-Actor Sanjay Suri with over 16 years of experience in the Indian Motion Picture Industry have been at the forefront of the current revolution of Independent Cinema in India. Sanjay has produced 8 feature films, including the path breaking “My Brother Nikhil” that dealt with the Stigma of HIV and homosexuality for first time in India. 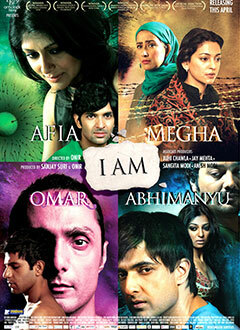 “I AM”, producers 3rd feature film won 2 prestigious National Awards. It was one of India’s largest crowd sourced film with 400 co-producers from over 40 cities across the world. Producers 5th feature film project “CHAURANGA (Four Colours)”, Winner Grand Jury Prize for Best Feature at IFFLA ( Los Angeles ) 2015, Winner Best Film at ‘MAMI’ The MUMBAI FILM FESTIVAL (INDIA GOLD) 2014, winner Incredible India Award as the best co production project at Film Bazaar 2011 & the winner of Goteborg International Script development fund. Recently released SHAB by Onir successfully in Cinemas in India. My Birthday Song ( Thriller ) directed by Samir Soni . Sanjay has participated at various International Co-Production markets, labs and was selected by CNC to attend the Producers network at the Marché du Film Festival de Cannes 2012 and 2013. Sanjay has served as a Jury member at MAMI (Mumbai Academy of Moving Images, 2012) and as a Jury Member at the prestigious Dubai International Film Festival (2013) feature category in the ‘Muhr Arab’ Section. With hundreds of screenings worldwide and winning Awards globally Sanjay has the required experience, knowledge and vision along with International exposure of festivals & markets that empowers him with tremendous knowledge of production, creativity, marketing and distribution. Company focus: Features, Short Films and Digital Content.